Chics in Design is a Hong Kong-based design house that has come with a specific, limited-color-palette knitting pattern for a distinctive look to their household furnishings. 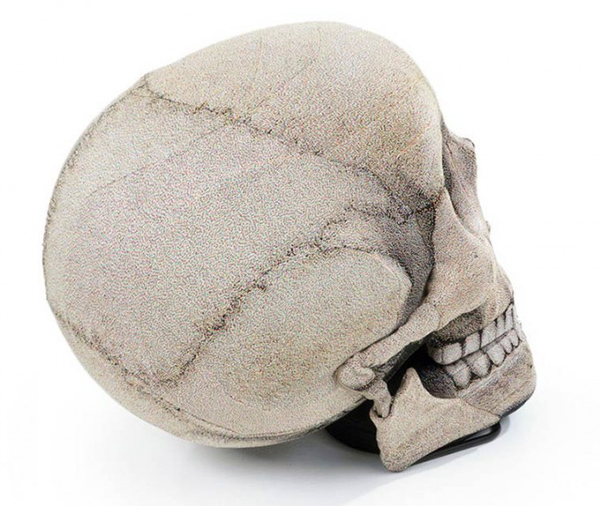 Priding themselves on being a “crazy, dreamy but happy bunch of people,” why wouldn’t they construct a human skull that you can open up and sit on? 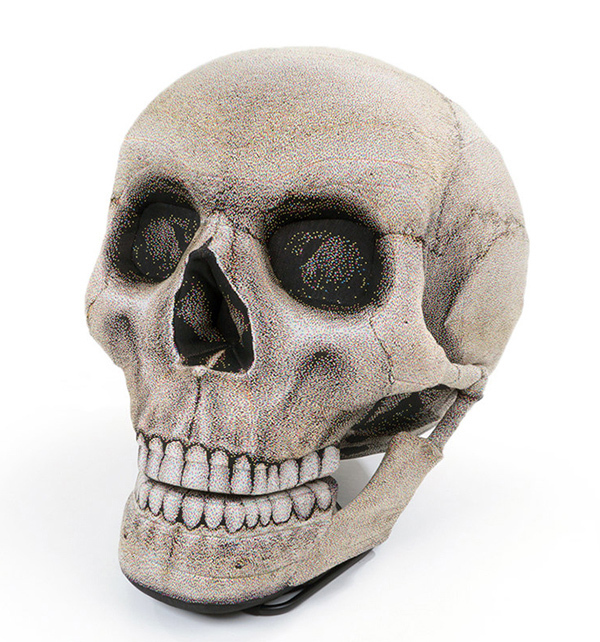 Now you can read the morning paper in a way that will really split skulls, so to speak. 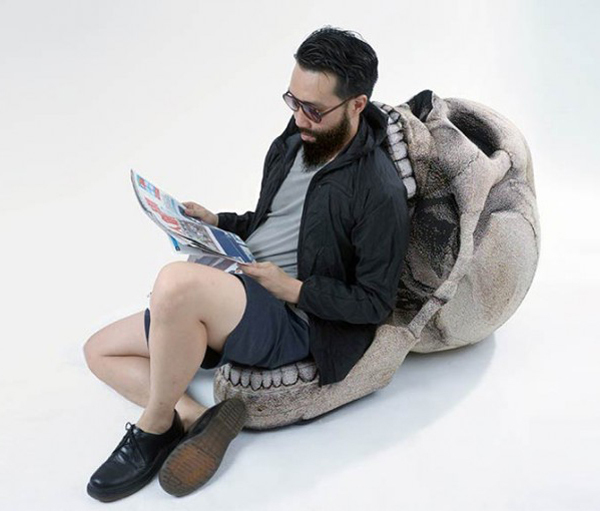 This comfy beanbag of a cranium is handmade to order from polyester thread, an inflatable exercise ball and metal frame, measuring 85 x 75 x 98 cm. Scalp it for $420.